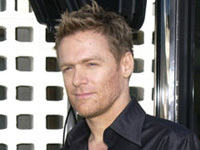 From the mid-’80s to the mid-’90s, Canadian singer/songwriter and guitarist Bryan Adams was one of the most successful recording artists in popular music worldwide. Usually dressed in blue jeans, sneakers, and white T-shirts, the energetic performer stalked stages around the globe, electric guitar in hand, singing his own up-tempo pop/rock songs and ballads before audiences numbering in the tens of thousands. He released a series of multi-platinum albums containing chart-topping singles featured in popular motion pictures. His raspy voice, simple compositions, and straightforward musical approach earned him early critical approbation as a likable if unoriginal rock & roll journeyman, but as he began to become massively popular, reviewers increasingly pointed out the clichés in his lyrics and the derivative nature of his music, especially as he softened his style in the early ’90s for his hit movie theme songs. By the end of the ’90s, his record sales had fallen precipitously and he had become largely identified with his movie work, though he continued to tour extensively, playing his many hits. Meanwhile, Adams was working on his debut LP, and Bryan Adams was released on February 12, 1980. The album was not released initially in the U.S., although “Hiding from Love” (written by Adams and folksinger Eric Kagna) was issued as a single and reached number 43 in the dance chart. Ian Lloyd’s next release, 1980′s 3WC (Third Wave Civilization), featured two Adams/Vallance songs that Adams later would reclaim for his own albums, “Lonely Nights” and “Straight from the Heart.” In May 1980, Adams assembled a backup band and embarked on his first tour as a solo act, spending four months playing clubs and colleges in Canada. Then, he went to work on his second album, You Want It, You Got It, which A&M released in mid-1981. The album was Adams’ first to come out in the U.S. He toured North America for six months starting in October, earning opening spots with the Kinks and Foreigner. The album broke into the Billboard chart in January 1982, peaking at number 118 in 13 weeks, while Adams’ version of “Lonely Nights” hit number three in the mainstream rock chart and became his first solo Hot 100 entry at number 84. As songwriters, Adams and Vallance continued to place their extra material with other artists. “Jump,” written by Adams and bandmember Paul Dean, was featured on Loverboy’s quadruple-platinum album Get Lucky, released in October 1981. And in January 1982, Prism’s fourth album, Small Change, featured the Adams/Vallance compositions “Don’t Let Him Know” and “Stay,” the former becoming a number one hit on the mainstream rock chart and a Top 40 hit on the Hot 100. Adams toured Canada opening for Loverboy in the spring of 1982, then began work on his third album. His next notable credit, however, came when his, Vallance’s, and bandmember Gene Simmons’ “War Machine” was featured on Kiss’ Creatures of the Night in October 1982. His own album, Cuts Like a Knife, was ready by the end of the year, and A&M prefaced it with his version of “Straight from the Heart,” released as a single in December. It broke his career open, peaking in the Top Ten of the Hot 100 and setting up the LP, which followed in January 1983 and eventually reached the Top Ten and went platinum, spawning further Top 40 hits in the title song and “This Time.” The album’s success was stimulated by Adams’ extensive touring in support of it, which began in Canada in January and February and continued from March to August in the U.S., where he opened for Journey, with a six-week tour of Europe in the fall and dates in Japan in November, followed by another round of shows in Canada. In total, he spent 283 days on the road in 1983. Meanwhile, Adams and Vallance had accepted an offer to write their first song for the movies, and November 1983 saw the opening of A Night in Heaven and the release of its soundtrack album, featuring their song “Heaven,” which Adams performed. The track made the Top Ten of the mainstream rock chart in early 1984, but Adams declined to release it as a single just then. Instead, he held it back for his next album, which he and Vallance began writing after he completed a tour of the Far East in March 1984. As usual, the products of their writing sessions began to turn up on other albums before Adams himself re-emerged. “Can’t Wait All Night” was the title song of Juice Newton’s June 1984 album and became a singles chart entry. “Boys Nite Out” (co-credited to bandmembers Marc Storace and Fernando Von Arb) was featured on The Blitz, an album by Krokus, released in August 1984. The following month saw the opening of the film Teachers, the soundtrack to which included two Adams/Vallance songs, “Teacher, Teacher,” which became a Top 40 hit for .38 Special, and “Edge of a Dream,” a singles chart entry for Joe Cocker. Adams’ fourth album, Reckless, was released on his 25th birthday, November 5, 1984, preceded by the single “Run to You,” which reached the Top Ten. It was followed by no less than five Top 20 singles drawn from the album: “Somebody,” “Heaven” (which hit number one), “Summer of ’69″ (Top Ten), “One Night Love Affair,” and a duet with Tina Turner, “It’s Only Love.” The LP, which hit number one in the U.S. on August 10, 1985, sold five million copies in America and a reported three million more in the rest of the world. (Adams also earned his first two Grammy nominations, best male rock performance for the album as a whole, and best rock performance by a duo or group for “It’s Only Love.”) As usual, Adams toured extensively to support it, his World Wide in ’85 tour launching in late December and continuing through November 1, 1985. He found time early on to co-write (with Vallance and David Foster) “Tears Are Not Enough,” Canada’s answer to “Do They Know It’s Christmas” and “We Are the World,” as a charity song for Ethiopian starvation relief, which was recorded by the all-star group of Canadian artists Northern Lights and became a number one hit in Canada, later included on the We Are the World LP. He also opened the American side of the Live Aid concert on July 13, 1985. Adams’ success made him and Vallance, if anything, even more appealing to other artists as songwriters. In August 1985, Loverboy featured another of their compositions, “Dangerous,” on the Lovin’ Every Minute of It album. The song was later released as a single and reached the Hot 100. In September, Roger Daltrey included two Adams/Vallance songs, “Rebel” and “Let Me Down Easy,” on his album Under a Raging Moon, and “Let Me Down Easy” also became a chart single. (The songwriters reworked “Rebel” for the next Adams album.) Adams was also in demand as a guest performer on records. Vallance was producing the Canadian group Glass Tiger, and Adams came in to sing a duet vocal on their song “Don’t Forget Me (When I’m Gone).” It hit number one in Canada in February 1986 and number two in the U.S. eight months later. In April, Adams and Vallance’s song “No Way to Treat a Lady” appeared on Bonnie Tyler’s album Secret Dreams & Forbidden Fire. (Tyler had covered “Straight from the Heart” on her platinum 1983 album Faster Than the Speed of Night. Four months later, Bonnie Raitt also sang “No Way to Treat a Lady” on her Nine Lives album.) In May 1986, Adams and Vallance’s song “It Should Have Been Me” was included on Neil Diamond’s album Headed for the Future. (The following year, it was covered by Carly Simon on her album Coming Around Again, with Adams producing.) In June, Adams participated in six stadium concerts as benefits for Amnesty International. In September, the songwriters contributed “Back Where You Started” to the Tina Turner album Break Every Rule. Into the Fire, the fifth Bryan Adams album, was released in March 1987, prefaced by the single “Heat of the Night,” which became Adams’ fifth Top Ten hit in the U.S. The album also spawned the Top 40 hits “Hearts on Fire” and “Victim of Love,” but its success fell far short of that enjoyed by Reckless. Nevertheless, Into the Fire reached the Top Ten in the U.S. and sold a million copies, with another million sold overseas. Adams’ worldwide tour in support of the album went on for more than a year, starting in May 1987 and continuing until July 1988. (One of the final shows, in Werchter, Belgium, was filmed for a television special, Bryan Adams: Live in Belgium, broadcast on television in Canada January 15, 1989.) Meanwhile, as usual, there were songs for other artists. Adams and Vallance’s “Back to Paradise,” co-written by Pat Benatar and performed by .38 Special, was used in the film Revenge of the Nerds II in the summer of 1987 and became a singles chart entry, and in August Adams’ co-composition “Hometown Hero” appeared on Loverboy’s Wildside LP. After finishing his tour in support of Into the Fire, Adams became involved in the Clint Eastwood movie Pink Cadillac, taking a bit part in the film and, with Vallance, co-writing “Drive All Night,” which Dion sang on the soundtrack, released in May 1989. Adams, Vallance, and Diane Warren also wrote “When the Night Comes,” which was featured on Joe Cocker’s album One Night of Sin in August 1989 and, when released as a single, reached the Top 20. Unfortunately, this was one of Adams and Vallance’s final collaborations. They broke up their songwriting partnership in August 1989. Adams teamed up with writer/producer Robert John “Mutt” Lange, previously known for his work with AC/DC, Foreigner, and Def Leppard, to write songs for his next album. In December 1989, Live! Live! Live!, a concert album drawn from the 1988 Belgium show, was released only in Japan (it later gained release elsewhere), and Adams did a couple of New Year’s shows in Japan to promote it. He also played occasional other special shows or festivals in 1990 (including Roger Waters’ all-star performance of The Wall in Berlin in July 1990), but spent much of his time in England with Lange working on his sixth album. As he began to look forward to his next album, Adams as usual placed songs with other artists. “Feels Like Forever,” co-written with Diane Warren, appeared on Joe Cocker’s Night Calls album in July 1992, and “Why Must We Wait Until Tonight?,” co-written with Lange, was sung by Tina Turner on the soundtrack to her film biography, What’s Love Got to Do With It, in June 1993, later becoming a singles chart entry. Adams released a hits compilation, So Far So Good, in November 1993. It was a multi-platinum success, and “Please Forgive Me,” a new Adams/Lange track on it, reached the Top Ten. Within weeks came Adams’ theme song for the movie The Three Musketeers, “All for Love” (co-written with Lange and Michael Kamen), recorded with Rod Stewart and Sting, which hit number one in the U.S. on January 22, 1994. The same month, Adams embarked on an ambitious tour of the Far East, including countries rarely visited by a Western pop artist, among them Vietnam. Adams maintained a low profile through 1994 and the beginning of 1995 as, once again, he and Lange painstakingly crafted a new album. He re-emerged in the spring of 1995, however, with another romantic ballad written as the theme song for a film, the flamenco-tinged “Have You Ever Really Loved a Woman?” (once again co-written with Lange and Kamen) from the Johnny Depp/Marlon Brando film Don Juan DeMarco. And he was rewarded with another number one hit on June 3, 1995, as well as a Grammy nomination for best male pop vocal performance and another Oscar nomination for best song. In the fall, he contributed “Rock Steady” (co-written with Gretchen Peters) to Bonnie Raitt’s live album Road Tested, performing the song as a duet with her, and the two shared a chart single with the song. These successes were enough to hold his fans until May 1996, when he finally delivered his seventh new studio album, 18 ‘Til I Die, and launched an 18-month world tour to promote it. Although it went platinum in the U.S., the album performed disappointingly, missing the Top Ten and spawning only one Top 40 hit, Adams and Lange’s “Let’s Make a Night to Remember.” Happily, Adams had another successful duet up his sleeve, as he and Barbra Streisand combined in the fall of 1996 on “I Finally Found Someone” (written by Adams, Lange, Streisand, and Marvin Hamlisch), the theme from her film The Mirror Has Two Faces, which became a Top Ten hit and earned him his third Oscar nomination. Adams’ next hit was something of a surprise, since it found him in the realm of country music. Lonestar released his and Lange’s “You Walked In” on its Crazy Nights album in June 1997, and the song went on to become a Top 20 country hit and pop singles chart entry. Less surprising was his penning (with Jean-Jacques Goldman and Eliot Kennedy) of the title song for Celine Dion’s November 1997 album Let’s Talk About Love, which went on to top the charts and sell ten million copies in the U.S. Meanwhile, having finished up his tour, Adams filmed an appearance for MTV’s popular Unplugged series on September 26, 1997, and it was released as an album in December. It was only a modest success, but served as a stopgap until the appearance of his next studio album, On a Day Like Today, which was released in October 1998. On this album, Adams changed gears, abandoning Lange in favor of several songwriting collaborators, the most prominent of whom was Gretchen Peters, and completely eschewing ballads in an attempt to reestablish himself as a rocker. In the U.S., the result was a failure, as the album spent only two weeks in the charts, peaking at number 102. Overseas, the disc fared better, with a number 11 showing in the U.K., where “When You’re Gone” (co-written with Eliot Kennedy), a duet with Melanie C. of the Spice Girls, was a Top Ten hit. The album also hit number three in Canada. In June 1999, Bryan White reached the country charts with his cover of “You’re Still Beautiful to Me,” an Adams/Lange song that first appeared on 18 ‘Til I Die, and it made the country Top 40. Adams next issued a second hits compilation, The Best of Me, in November 1999. (The American branch of A&M initially declined to release it.) The previously unissued title song (co-written with Lange) charted in Great Britain.